Discussion in 'Smart Phones and Devices' started by Commander Shepard, Jan 18, 2019. 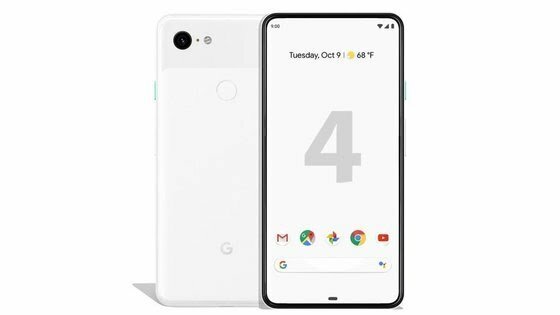 Found this article that claimed the Pixel 4 may be sans notch and chin. If true, it could be the best selling Android phone of the year, depending on its price, of course. I certainly would list my 3XL on Swappa and grab a 4XL if it's anything like this. They would have to license/steal Apple's chin-removal technique unless Google somehow invented a new way to do it. Even Apple's technique isn't perfect, supposedly if you look at how the glass curves, you'd be able to distinguish the part where the control electronics are hidden underneath. Design can't be worse than the 3XL unless they somehow keep that huge notch. But I didn't see any benefit whatsoever to upgrade from my 2 XL, not that I would have anyways even if it was. That notch, 4GB RAM still, and with pretty much identical software and features (extra couple camera features are nothing to me too). The display on my 2 XL really doesn't seem much worse than my wife's Note 9, but I know that's probably hyperbole to the phone/display purists here. I did get lucky with the display lottery for sure though, as I know there was a wide variance across 2 XL's at least near launch. I've been pretty happy with my 2 XL though so far, but the Pie update was a considerable regression in UI and features to me. I really hope they being back WiFi/BT management in the notification shade, improve the gesture nav, maybe bring back vertical multitasking (highly doubt this) as an option, and eliminate the first notch even on phones without notches (so you can have more than a few notification icons). If they don't at least fix some of this, I'll definitely be looking at other phones when I need to upgrade in another year or so. Aside from the display, the 3XL ain't much different from the 2XL. My 2XL display was pretty bad, so I'm pleased with my 3XL. The notch doesn't bother me (much), but that notchless, chinless screen in the proposed 4XL pic sure looks nice. The only other 2019 phone that interests me is the OnePlus 7. I hope they improved the on-screen fingerprint reader. It only was about 50% accurate on the 6T I tried.